No, seriously. He actually said this recently. And many times before then. What the hell do we need a 'Secretary of Business' for? We already have the Secretary of Commerce, don't we? Just let him/her do it. How about a 'President Who Understands Business and Has Actually Transacted Business in the Private Sector Before' in the White House instead? Wouldn't that be far, far better than setting up just another in the long-line of federal bureaucrats as President Obama has done for the past 4 years now? President Obama used to be so fond of calling them 'czars' until someone must have told him that the Russians 'loved' that term. They must have also told the President that the word 'czar' is derived from their interpretation of the Roman word 'Caesar' who really was no Jeffersonian-Madisonian small 'd' democratic-republican when it comes to freedom and success for the average person in a representative democracy. To be fair, and we think we were pretty lenient on President Obama until earlier this year as we hoped and waited for him to be the 'transformative' President millions hoped he would be in 2008, the President has 'suggested' that 9 agencies of the federal government be consolidated into one new agency under a 'Secretary of Business'. But that is all he has done...yapped about it. No substantive reform measures detailing the specifics of such a Grand Consolidation of Power in Washington. No lobbying of Congress. In short, no 'leadership' on this issue or any other issue we are most concerned about in this jobless recovery: budget deficits, national debt, job stimulation, rapidly expanding economic growth, less regulations. Isn't it odd to the eye and ear to hear President Obama practically screaming for this during the aftermath of Hurricane Sandy: 'I want all red tape to be cut so these people can be helped in New Jersey'. If excessive 'red tape' is bad in an emergency, why is it not equally as 'bad' in normal everyday life? This President has produced more regulations, executive orders, rules, comments, Federal Register comments and promulgations (love that word!) 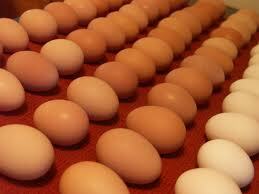 than the number of eggs produced by the entire American chicken industry over these past 4 years! Here's our problem with the Johnny-Come-Lately comments on the 'Secretary of Business' idea from President Obama: If you take a close look at the people he has surrounded himself in the White House already, you will know that he has no intention of appointing anyone with real business executive experience to the new post if ever created. 'Rebecca M. Blank is currently the Acting Secretary of Commerce and Deputy Secretary of Commerce. She assumed the role of Acting Secretary in June, 2012 when Secretary John Bryson resigned following a medical leave of absence. As Acting Secretary of Commerce, Dr. Blank is a key member of President Obama’s economic team working to implement the administration’s top economic priorities to increase economic growth and accelerate job creation. Dr. Blank leads the Department’s efforts to strengthen U.S. competitiveness, helping make American businesses more innovative and successful at home and more competitive abroad, and to create good-paying jobs. In her role as Deputy Secretary, Dr. Blank also functions as Commerce’s chief operating officer, overseeing issues of management, policy and strategic planning for the department’s 12 Bureaus. Dr. Blank has served in the Department of Commerce since June 2009, when she was appointed as the principal economic adviser to the Secretary in the role of Under Secretary for Economic Affairs and head of the Economics and Statistics Administration (ESA). ESA oversees the two premier statistical agencies in the United States, the Census Bureau and the Bureau of Economic Analysis. While at ESA, Dr. Blank played an important role overseeing a decennial Census operation that completed its work on time and under budget, netting $1.6 billion in 2010 savings. Within ESA, she supervised a staff of economists and policy analysts who produced a wide variety of reports and analyses that focused on economic and social trends, and the impact of various policy proposals. Prior to arriving at Commerce, Dr. Blank was the Robert S. Kerr Senior Fellow at the Brookings Institution and dean of the Gerald R. Ford School of Public Policy at the University of Michigan (UM), where she implemented a major expansion of its faculty and programs. She also served as co-director of UM’s National Poverty Center. From 1997-1999, Dr. Blank was one of three members of President Clinton’s Council of Economic Advisers, participating in White House decision-making on a host of economic, social and regulatory policy issues. Prior to her work with the Clinton administration, she was a Professor of Economics at Northwestern University and Director of the Northwestern University/University of Chicago Joint Center for Poverty Research. The author of numerous books and articles, Dr. Blank has researched extensively the interactions of the macro economy, government social policy programs, and the behavior and well-being of families. Dr. Blank is a member of the American Academy of Arts and Sciences, a Fellow of the Society of Labor Economists, and a Lifetime Associate at the National Academies of Science. She has served in a wide variety of advisory and professional roles, including service on the Boards of Directors of MDRC, the Economic Policy Institute, and the Urban Institute. She was a long-time faculty affiliate of the National Bureau of Economic Research, vice president of the American Economic Association, and president of the Association for Public Policy Analysis and Management. In May 2010, Dr. Blank was inducted as an Eleanor Roosevelt Fellow by the American Academy of Political and Social Science in recognition of her distinguished scholarship in the social sciences. There is not one single solitary mention of this person ever even being on the Board of Directors of a local lemonade stand operated by neighborhood children! Not even one single executive position at 'Government Motors' (GM) in Detroit or government-supported-and-sponsored Wall Street which used to at least act like they were the Wild West where they took their lumps when they made bad bets on companies....and got on with their own business with zero direct support from the American taxpayer. Heckfire! By many accounts, President Obama's ill-fated 'stimulus bills' helped create more jobs in China than here in the USA! How about them apples, huh? Don't you feel better knowing that all the money he helped borrow from the Chinese to pay for these debt-financed stimulus packages went back to help the poor Chinese take away MORE jobs from American citizens? That is sort of a reverse Marshall Plan when you really think about it. And a dumb one at that for the 23 million people here in America who desperately want and need a good job...now. No doubt about it. We don't need a 'Secretary of Business' as President Obama is suggesting. We need a New President who understands business, budgets and the economy. You can vote for Mitt Romney by the close of the polls next Tuesday and get one. We think he will 'out-Reagan' President Reagan when it comes to getting this economy rolling again and reining in the explosive federal spending that is today completely out of control. Watch and see. What have you got to lose other than lingering unemployment, slow economic growth and no real prospects for a great economy under President Obama if he is re-elected?